There’s a total of 170 listed properties (November 2017, Salt Spring) at this moment (counting only residential of all types & undeveloped residentially zoned land of all types…not including commercial or industrial zoned listings). In a “slow/downturn” market, there can be between 380 to 420 listings (residential and undeveloped lots/acreages). The listing inventory, since mid-March 2016 to current date, has thinned out. Mid-March 2016 was the very first sign of a small recovery on Salt Spring, after the long 8 year downturn. It was a very slow sales volume increase, however, between then & now, with several non-market driven “pauses”. The 15% offshore tax in early August, 2016, for metro-Vancouver, for example, also completely stopped the secondary home regions recovery…those Vancouver sellers had become the buyers on Sunshine Coast, on Vancouver Island, and on Salt Spring Island. On Salt Spring, Aug/Sept/Oct, of 2016, were “lost”. Then: “real winter” (between Dec 3 & May 15) struck: all over the Coast. Both tourism & real estate viewings on Salt Spring were dramatically slowed. Almost a 9 month pause, then, between August 2016 & May 2017. The Summer Market was 6 weeks late…it usually starts in last week of June, & did not kick in until July 15, 2017. There were pauses within the summer season, as well…due to smoke from both Interior & Washington State fires…again, affected the whole Coast, but also caused significant delays in Salt Spring activity. That 6 weeks later scenario seemed to carry into the Fall Market, too. Perhaps October was really September! August 2017 may also have seen a hesitation in activity due to the incorporation vote on Sept 9th…several people, on either side of the question, were waiting for the vote outcome. There was a lot of off island media coverage leading up to the vote. It may have caused a bit of a “digestion” pause throughout September. Difficult to track these kinds of hesitations. 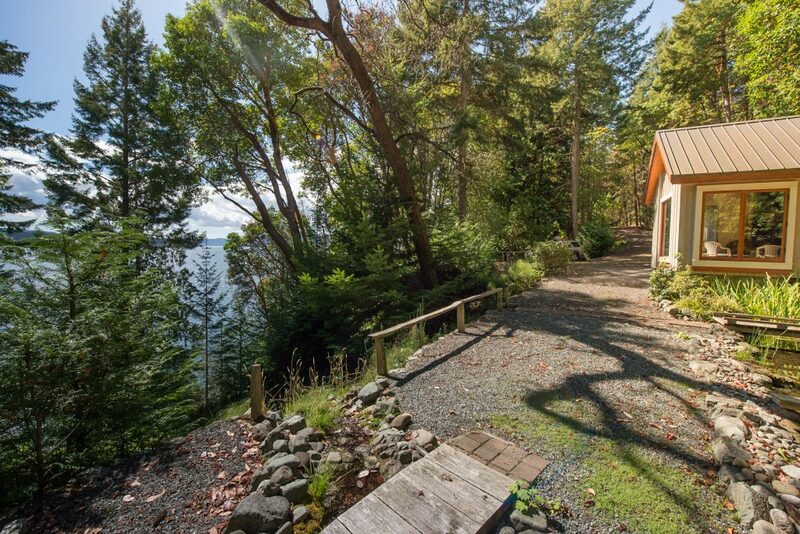 All these fits and starts sales rhythms aside, the main sales on Salt Spring Island remain below 850,000. 21 sales between 95,000 & 199,500. 25 sales between 200,000 & 299,000. 31 sales between 305,000 & 396,000. 43 sales between 400,000 & 489,000. 30 sales between 500,000 & 599,000. 20 sales between 605,000 & 690,000. 16 sales between 700,000 & 795,000. 12 sales between 800,000 & 899,000. 6 sales between 900,000 & 950,000. 25 sales between Private Island Estate. 4 sales between 2.2 and 2.5. The sales between one & two million were either waterfronts (both ocean & lake) houses, or very large farms (20 to 104 acres), or large ocean view acreages/houses. The majority of them were waterfronts. The sales over two million were waterfronts (3 ocean & one lake), with houses. These sale price ranges in November 2017, Salt Spring, do not include price reductions…they are the completed sale price points. In some cases, in the over a million category, there were substantial reductions at the point of a sale. 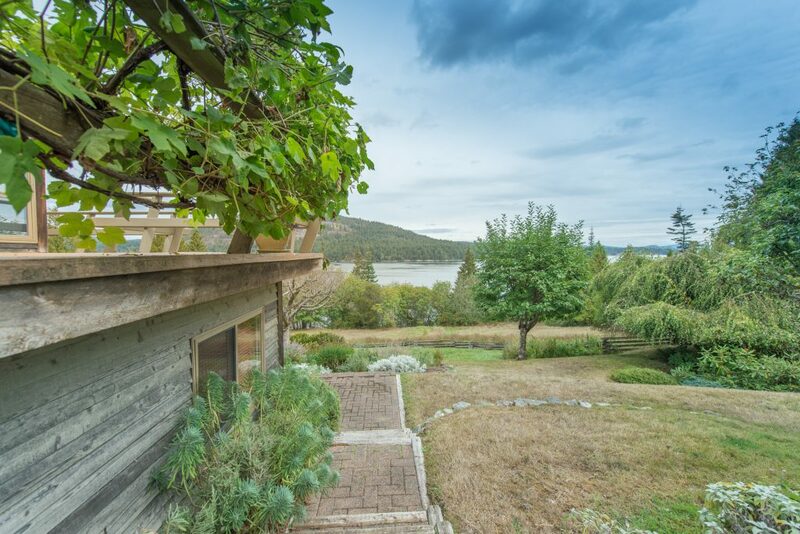 What is the main buyer profile around Salt Spring Island? The main buyer profile is still out of Vancouver/Lower Mainland. Alberta & U.S. (used to be 50% of our buyers) are still not in evidence. A smattering appear from Ontario, U.K., Europe…but they do not always focus on Salt Spring as a final destination choice. Most Vancouver buyers are seeking to buy down, if they have achieved a good sale price at their end. It takes time to sell any property in all the secondary home markets, and this is true of Salt Spring, too. The first step is to choose “for” the Island…and then to choose for a property. It usually takes 2 visits (often 3), before a buyer acts on a specific property. A showings pattern is about the buyer…not about sellers, or properties, or realtors. It just takes the time it takes. Time is a very significant element in every secondary home market transaction. Properties still remain on the market here for lengthy timeframes, before capturing a sale. Price can sometimes be an allure factor…though not always. So…here we are…in the closing weeks of a calendar year. Low inventory in all property types and prices. Sellers often achieving list price or close to it. Back up offers in place, if not small bidding wars. A sense that 2018 will see the beginning of serious price escalation, based on that thin inventory/buyer demand scenario. Hmmm…it does appear that in November 2017, Salt Spring and the Southern Gulf Islands have returned to the buoyant times between 2002 and 2005. A nine year downturn now being followed by a nine year uptick? Stay tuned. This entry was posted in Market Analysis and tagged all things salt spring, Aug Sept Oct, bc, british columbia, gulf islands, Interior Washington State, li read, Luxury Real Estate, market, recovery, salt spring island on November 2, 2017 by Li Read. October is often seen as the divide between early Fall (with echoes of September charms) and late Fall (another word for early Winter, on the Pacific Northwest Coast). On Salt Spring, the harvest season is with us: Apple Fest, Canadian Thanksgiving, Sip and Savour, Tuesday Farmers Market, Saturday Market-in-the-Park…plus the rediscovery of the softer season on this delectable Island. Sunday afternoon sailing races, hiking/walking trails (Ruckle Park, Mt Maxwell, Mt Erskine, Burgoyne Bay Park, Channel Ridge trails), studio tours, craft fairs…these are all a part of the Fall Season on special Salt Spring Island. Real estate discoveries and sales are a strong feature…the Fall Market can be one of the busiest of the year. As we arrive at the beginning of October, we are noting a thin inventory of properties for sale, no matter the type or price point. This does not mean the listings will all rush towards a buyer. Salt Spring and the Gulf Islands are secondary home markets. This means they are “by choice”/discretionary regions. No one “has to” move to Salt Spring Island…or any Gulf Island. 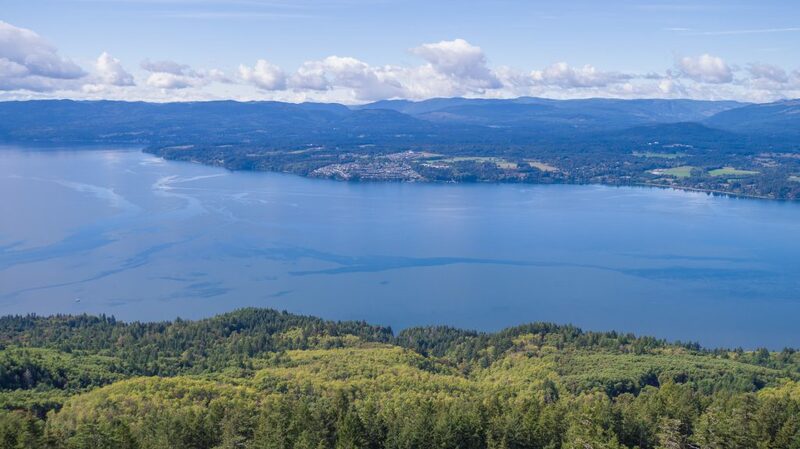 The first visit from the mainly non-local buyer is always about the island itself…that first visit is about deciding if Salt Spring itself offers the buyer’s desired lifestyle option. If it does…then there will be a second visit to seriously look at available listings. Often, it takes three visits before there is an offer. In a secondary home area, it simply takes the time it takes, to achieve a sale moment. Days on Market is not a relevant thing in any discretionary marketplace. Buyers set prices and markets…not sellers or realtors. If a buyer is not interested in achieving a property in a secondary home market, then it’s a flat sales picture. The economic downturn (October 2008 to mid-March 2016, in our region) saw serious price reductions, few sales, and a slow recovery. Interruptions by government (an offshore purchase tax in metro-Vancouver (where our main buyers were from) in August, 2016) and weather vagaries (a once-every-20-years La Niña “real winter”, that lasted from Dec 3, 2016 to May 15, 2017) conspired to hold up the general market recovery…there was a nine month pause in activity. The Summer market was about six weeks late in arriving…took till July 15/16 to kick in. So…here we are…rushing into the shorter Fall Season. In spite of hesitations, the inventory is historically small. Buyers are around. Yes, they are looking in many coastal communities…Salt Spring and the Gulf Islands have competition now, in decisions. Yes, one does have to sell the island first, before any buyer will look at listings. It remains the 2-step dance it’s always been: first, “decide for” the particular Island. Then: choose the property. All that said, the combination of low inventory and price stabilization forecasts a market uptick in pricings. This may be with us by the early Spring 2018 market. Add that to the Islands Trust cap on growth (the outcome of those 1974 bylaws/zoning restrictions), and the temperate “cool Mediterranean” micro-climate that encourages small holdings farming, plus the sense of safety and “apartness”, yet proximity to major centres…and one can see why there is an allure to the Salt Spring Island lifestyle. More information? Call me. There is always opportunity for a buyer, regardless of market trends. A seller? It’s your moment. Still takes patience, though, while the buyer “considers”. This entry was posted in Market Analysis and tagged Fall Season, gulf islands, li read, market, recovery, salt spring island, Tuesday Farmers Market on October 1, 2017 by Li Read. September on the Pacific Northwest Coast is often one of the most beautiful months. A lingering summer mixes with shorter days and a back-to-school rhythm. (I wonder how many of us still think of this month as the start of a “new year”?). In real estate, for a market overview, I always designate a year as the month I’m in and then look back to the same month of the previous year. So…September 2016 to September 2017 is the “year” right now. After an eight year downturn, due to the global economic collapses in 2008, Salt Spring’s secondary home market finally saw an up-trend begin in mid-March, 2016. Most of these sudden buyers were from Vancouver, and had sold their properties there to mainly off-shore buyers. Between mid-March and end of July, a sales volume rise occurred…and prices began to stabilize. Then: at beginning of August, 2016, the then provincial government brought in a 15% tax for off-shore buyers, for metro-Vancouver. This immediately cooled Vancouver’s market and also stopped Salt Spring’s recovery…the Vancouver sellers had become the buyers in the secondary home coastal markets. Traditionally, August, September, October are busy sales months on Salt Spring and the Gulf Islands. In 2016, there was a pause in activity, due to the outcome of that Vancouver property purchase tax. The Gulf Islands did not see that usual busier Fall. Then: the once-every-twenty-years La Niña “real winter” arrived, and between December 3 and May 15, the unseasonably cool weather kept property seekers and tourists away. This cold weather pattern affected the entire Pacific Northwest Coast. The Spring Market did not take place in 2017, due to the weather pattern. It seems that this year’s rhythm has been six weeks late (both in nature and in real estate action). The summer market did not start up until mid-July, and did not really hit its stride until early August. Although most sales remain residential and below 700,000 (most really below 600,000), prices have firmed up and inventory has thinned out. Sellers are often achieving their list price and back-up offers are becoming a feature. Some few new listings have come on at higher price points, perhaps testing the market. Both undeveloped land sales and higher end residential offerings are also now slowly finding their buyers. It may be, then, that the early spring market in 2018 will see a continued and stronger recovery in the coastal secondary home marketplaces. Meantime: the usual steady sales pattern of late summer/fall, on Salt Spring, is currently underway. Most buyers remain from Vancouver. A few Ontario buyers are also beginning to reappear. Our traditional Alberta and U.S. buyers are still not in evidence. September also brings with it the referendum for Salt Springers to decide if the Island will become a Gulf Islands municipality (the Trust remains, with two elected trustees, and others would be elected to act as a mayor and council) or whether to remain “as is” (planners appointed from Victoria). Several years ago, Bowen Island chose this specialized type of Gulf Islands municipal structure. September further brings with it the first legislature sitting of the new coalition provincial government. Both these parties suggested, in the last election, that the offshore property purchase tax should be brought in throughout B.C. September is the harvest month…farmers markets and farmgate stands offer the largesse of the season. Fall Fair is a part of Salt Spring’s September pleasures. A reconfigured Sip & Savour will be enjoyed. Salt Spring and the Southern Gulf Islands have benefitted from a renewed visitor discovery. Travel writers, foodie publications, and adventure maps are showcasing this delectable part of the Coast. 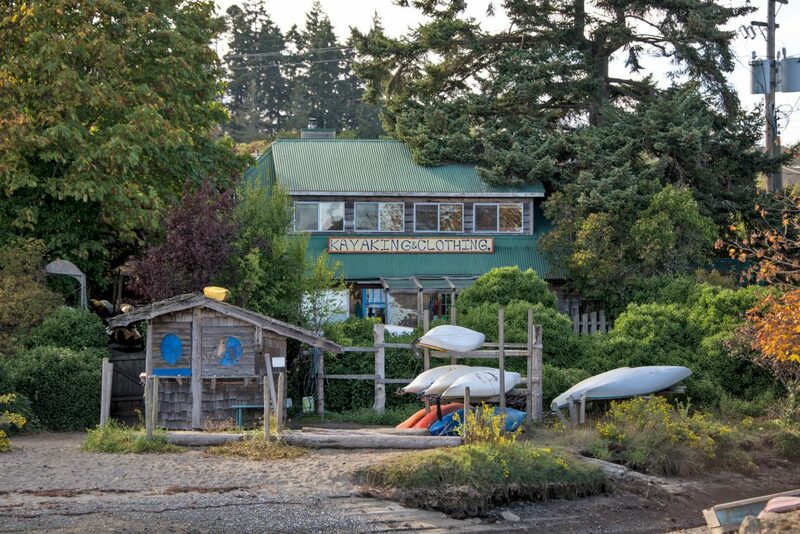 With a temperate micro-climate, an interesting and interested population, with an authentic artists community, and an inspiring natural world (and in the heart of some of the best protected boating waters in the world), Salt Spring enjoys a year round lifestyle. Close to major centres, with easy access, and yet wonderfully apart, the Island welcomes you. This entry was posted in Market Analysis and tagged gulf islands, market, Pacific Northwest Coast, Salt Spring September on September 1, 2017 by Li Read.